Philippe Decrauzat mines the field of abstraction with the ambition of pushing perception beyond the bounds of an image to effect a spatial presence. By manipulating a multitude of lines to synchronize in undulating, overlapping and interwoven motifs, powerful moiré effects achieve an array of kinetic optics that provokes both the eye and body. The sculptural shaped cut of certain frames, extend the sensation of twisting in his complex geometric compositions. Through a variety of media––wall painting, shaped canvases, sculptures, films and installations–– Decrauzat embeds iconic references from architecture, cinema, literature and graphics, enriching his conceptual endeavor. 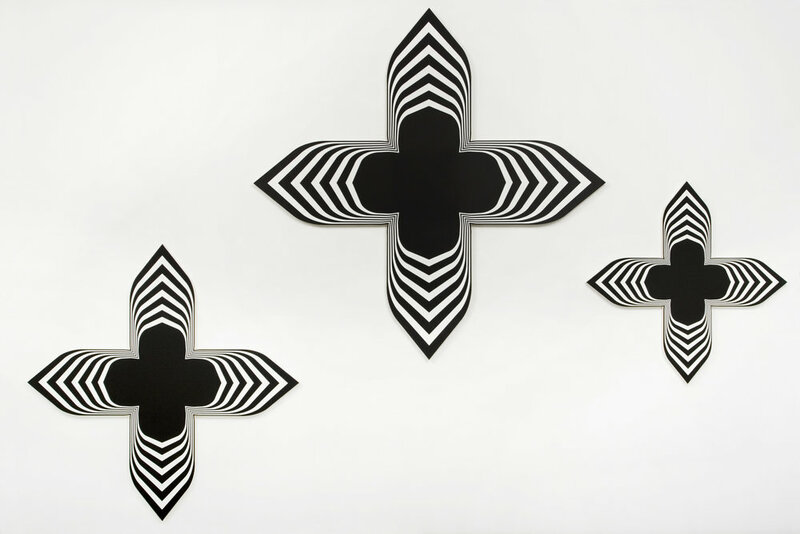 As Decrauzat puts it, he is "interested in [the] direct relationship Op art provides to the viewers and the way it influences their minds. 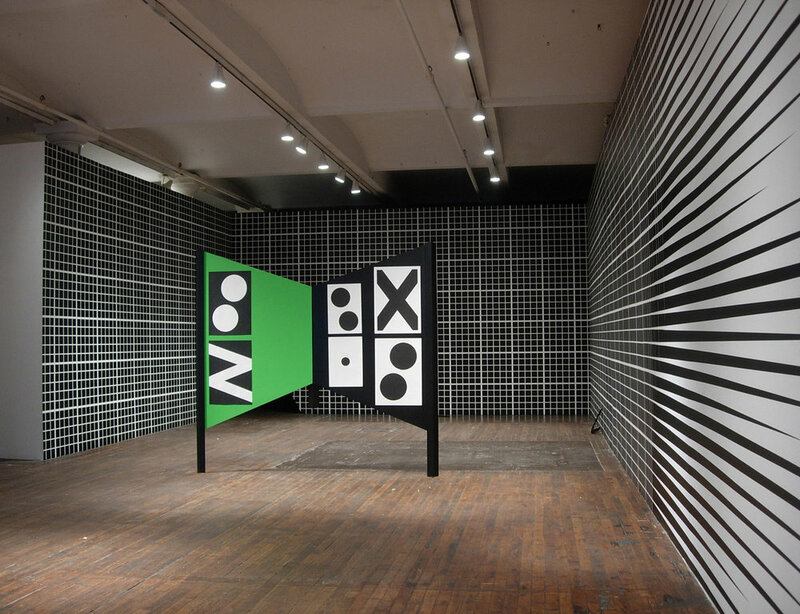 I am strongly involved in investigating the status of the image, in other words, indebted to practices trying to outline the critical tools developed by Conceptual and Op art."